The mogul's behavior has been the subject of investigations by The New York Times and The New Yorker. 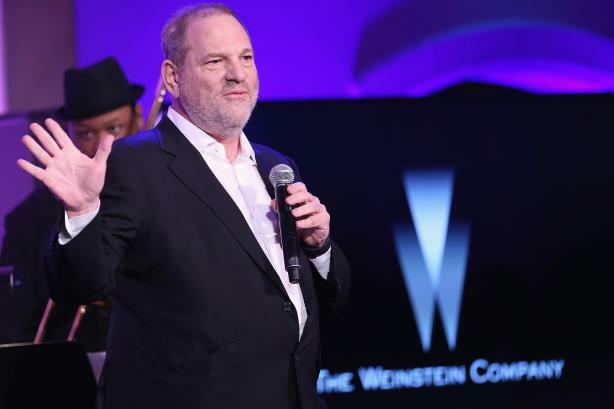 Harvey Weinstein has retained Sitrick and Company after two of his crisis managers resigned over the weekend, according to Variety. Lawyer Lisa Bloom and crisis expert Lanny Davis both reportedly stepped down from Weinstein’s team on Saturday, a day before he was fired from The Weinstein Company. Weinstein also engaged attorneys David Boies and Charles Harder as part of his response to a New York Times’ report published last Thursday that revealed decades of sexual harassment allegations against the Hollywood mogul. On Tuesday, The New Yorker published its own investigative story about Weinstein, in which several women accused him of sexual assault and sexual harassment. It includes audio of a sting operation that allegedly captured Weinstein admitting to groping a woman. Actresses Gwyneth Paltrow and Angelina Jolie both claimed Weinstein harassed them in a Tuesday story by The New York Times. Many Hollywood stars have begun to voice their outrage over the accusations, including Ben Affleck, who said the stories "made [him] sick." On Tuesday, former Secretary of State Hillary Clinton also condemned the behavior of Weinstein, who has raised millions of dollars for Democratic Party candidates over the years. The Weinstein Company is considering a rebrand, according to The Wall Street Journal. Last Friday, Ketchum severed its partnership with the company, announced a week prior, which would have given the Omnicom Group agency access to producers and directors from The Weinstein Company.